Arriving in a a horse drawn carriage to her ceremony, our lovely bride Joanna was every bit the Disney Princess bride. 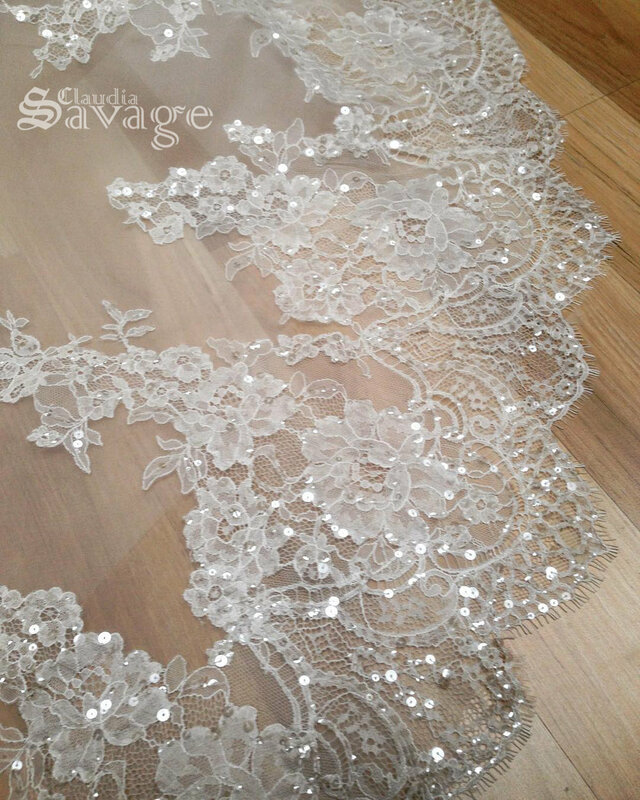 Comprised of over 100 meters of tulle, laces and silks, this was an amazing, intricate (and heavy!) gown to work on and we were thrilled she chose us! Joanna contacted us in October of 2016. From there began and epic bridal adventure of corsetry, lace and and a hoop skirt that consumed most of the studio floor! After the initial consultation, Joanna was presented with four design possibilities based on her extensive collection of inspiration, her likes/dislikes and the setting the gown would find itself in on the day. Of the four design sketches, the chosen gown consisted of a tight lace corset bodice, dripping with lace over the bust and hips which would lead in to and full hooped ball gown skirt, complete withe train and over fifteen meters of hand stitched and beaded lace border. The construction process spanned approximately 6 months of meticulous pattern making and sewing of the gown followed by layers upon layers of lace to build up the details over the bust, waist and hips which trickled down into the train and finished in a fifteen meter expanse of Chantilly border which took two days to position and over two weeks to hand stitch in place to its silk organza base - worth it! Hand stitched beginnings of lace applique on the corset bodice. Pins, pins and more pins as the bodice lace is carefully hand stitched into place. 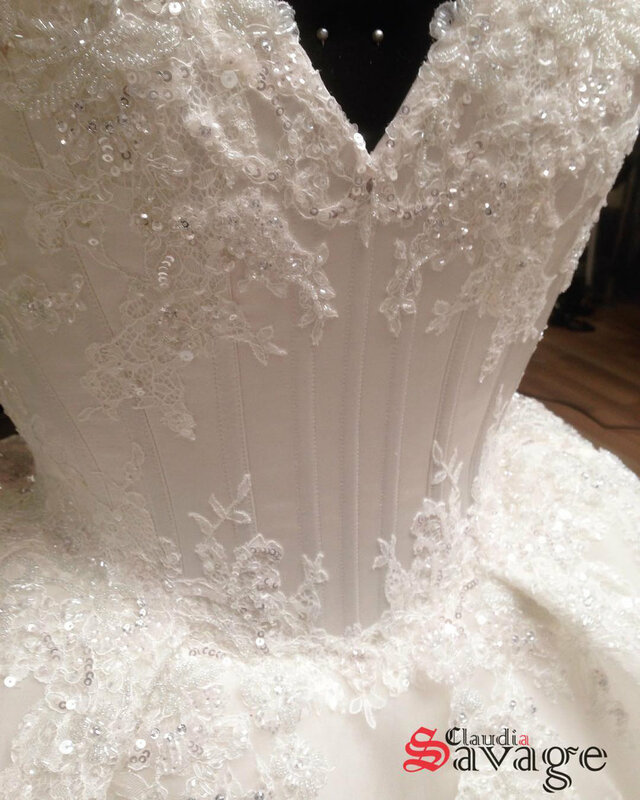 Layered lace details that covered the corset bodice and gown. A small segment of the fifteen meters of hand stitched lace the bordered the train of the gown. After this long stitching journey, the gown had one last mission before the big day; it was packaged and shipped interstate where it once again took up ALL the space - filling the entire back of a courier van before safely arriving in to the hands of our lovely client, Joanna. 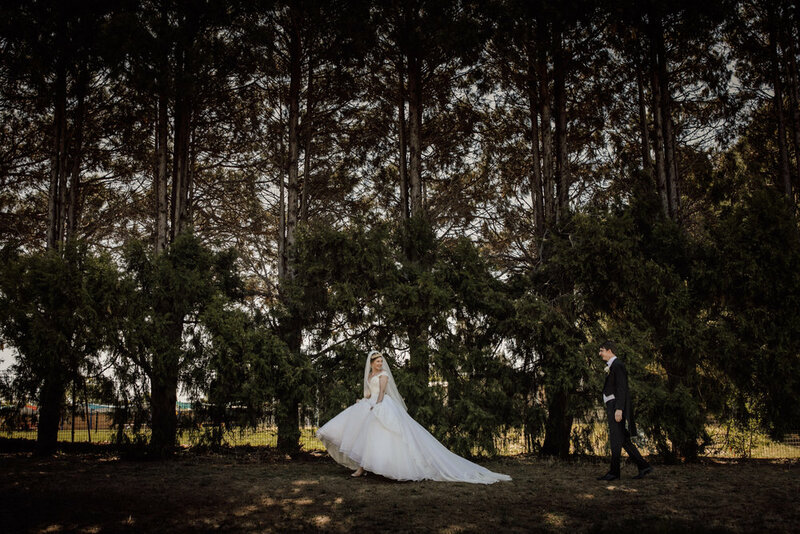 Joanna and he photographer Shae Estella were kind enough to share some images of the big day.